Reviews and thoughts about books I’ve read. One of the subjects for an upcoming blog post (when I can take the time to get it written) is piracy, with a focus on the one related to software and intellectual property in general. 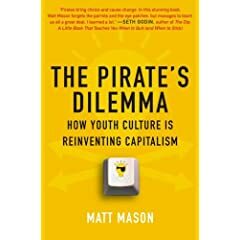 To help with the preparation of it, I’ve been documenting myself on the subject, and part of this research, I got myself a copy of “The Pirate’s Dilemma” book by Matt Mason, subtitled “how youth culture is reinventing capitalism”. While this book does not cover specifically software piracy, it contains a lot of insightful information about the challenges traditional companies face and how they should embrace piracy vs. fighting it, including great insights in different ways of thinking. It’s always interesting to look at different business models, different thoughts and ways to build successful companies and products. 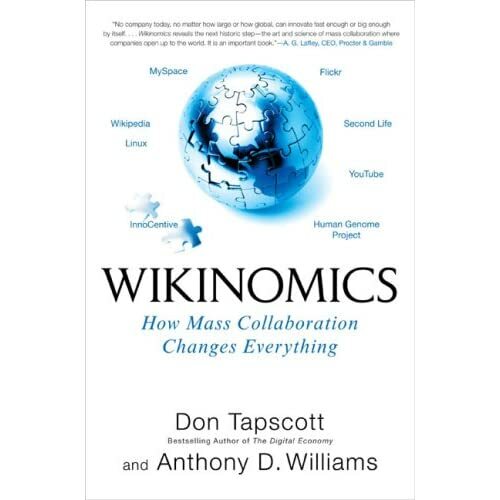 A best-seller about the subject is the book called “Wikinomics” by Don Tapscott and Anthony D. Williams, looking at how to build on the power of openness and transparency for success. Building on the amazing success of open-source in the software development world, this book looks at business models that apply similar strategies as a competitive advantage compared to other players in their respective industries. With many insightful examples and sometimes ideas going at the opposite of the traditional corporate thinking, this book is worth a read! Doing presentations on a regular basis, I always look for ways to improve the way I can transmit my message. While reading a magazine the other day, I saw a comment about the book called “Understanding Comics – the invisible art” by Scott McCloud. At first, it might sound unrelated, but both comics and presentations share some common ideas and there are quite a few things that can be learned from the story-telling of this sometimes considered “lesser” art-form. Yes, I know this isn’t a book, but it felt like a good place to post this entry… so here I go: Over the holidays, I watched the documentary “An Inconvenient Truth” on Al Gore’s campaign to promote the issue of global warming as a recognized problem worldwide. To make it short, go an get a copy, watch it and start taking action! There is so much that could be said about the content of that DVD and why we all need to take action today, that I could write multiple blog entries about this… I am going to simply recommend you go to the Inconvenient Truth web site and find out more for yourself. Instead of looking at the message, I wanted to share my thoughts from a content delivery perspective. Listening to one of the many podcasts I subscribe, I heard about an eBook called “Getting Real” by 37signals. According to them, the reason for their successful products is because the under-do the competition, and focus on what really matters. The Getting real eBook is a great document full of very interesting insights. Well worth a read if you are in the web services, software or hardware business, e.g. anything that needs an amazing user experience. Interesting how red has a negative connotation and blue has a positive one. 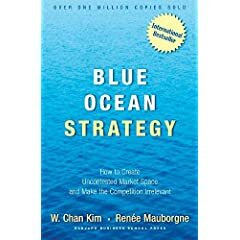 Mr. Kim and Mauborgne, in their book “Blue Ocean Strategy” compare the bloody red ocean strategies (doing more of the same) vs. re-defining the name and rules of the game in a nice blue ocean (without the bad weather). 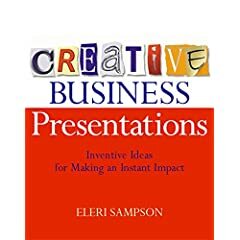 This book provides great ideas about thinking about the customer first, making the competition irrelevant in the process. Why do many companies compare their products with what the competition is doing and fight a features war while needing to be very careful on costs? Why not look at what the customer needs and wants to focus on that instead? In a step-by-step approach, “Blue Ocean Strategy” provides a way of defining a strategy that will make the competition irrelevant and minimize costs at the same time. A well-worth read! Analysing and learning from Apple, their successes, their failures and their mistakes is what Jeffrey’s book tries to achieve. 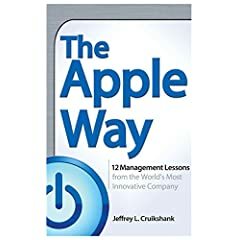 In “The Apple Way”, Mr. Cruikshank goes through twelve different aspects of this company and the related management approaches to provide insightful facts and ideas on how to run high with almost no market share and build a cult around your brand. One of the top High-Tech companies of this new millenium, Apple brought the Mac and the iPod, as well as the Newton and the Lisa. This book provides interesting summarizes of the good, the bad and the ugly related to the management and strategy behind the company and the products.